APRIL 2019: BioBag is delighted to supply Molloys Butchers Ardkeen, Waterford with CLEAR & 100% compostable, food-safe bags for meat purchased at the counter in their award-winning store. 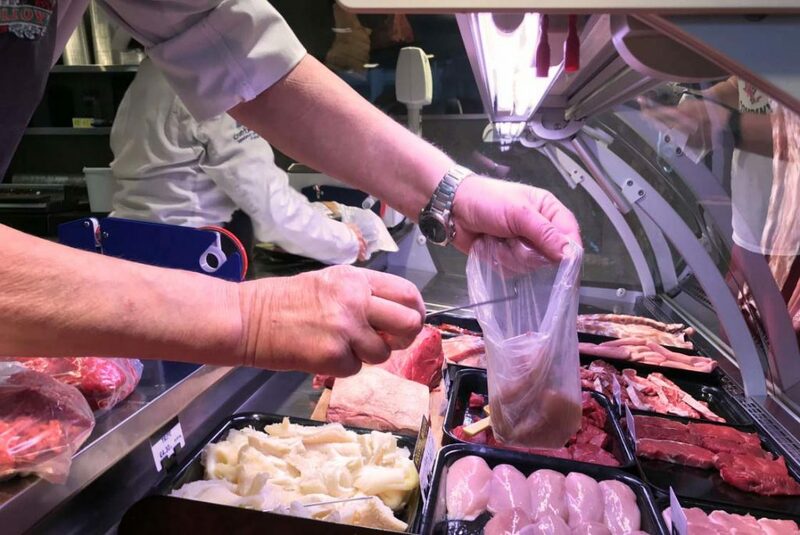 Molloy’s is the first butcher in Ireland to introduce BioBag transparent bags for fresh meat but we’ve has so much interest from other businesses, we expect many others to follow. Contact us at rory@biobagworld.com or on +353 (0)87 2451955 to learn more on the clear. compostable bags. Alternatively visit our shop page to buy compostable carrier bags and ‘fruit & veg’ bags directly with free delivery. The team at Molloy’s is leading the way for other butchers, fish shops and supermarkets to pass on plastic at perishable food counters in Ireland. Allowing consumers, for the first time, to ‘recycle’ their soft plastic bags in a food-waste/compost bin. Made from plant-based, natural resources, BioBag bags are certified compostable and biodegredable which means that they break down into water, oxygen and compost in composting conditions. BioBag bags leave no micro-plastics behind when they biodegrade. This means that when you take your meat home you can put the empty BioBa g bag straight into your Brown/Organic bin for recycling. Can’t do that with a plastic bag! Why not drop into Molloy’s to shop local and show your support for their plastic-free initiative. They deliver countrywide too – with free delivery over €50. 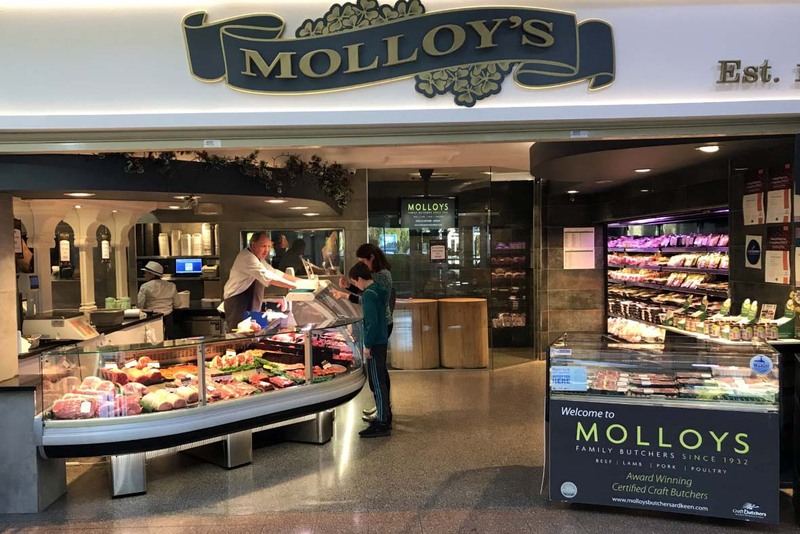 Molloy’s is also a long time supporter of customers bringing their own containers to package meat purchases in if they do not wish to take a bag. BioBag also supports consumers taking re-usable bags and containers with them when shopping, whenever possible, to reduce waste and to shop compostable. No comments yet. If you want you can add one! By submitting a comment you grant BioBag a perpetual license to reproduce your words and name/web site in attribution. Inappropriate and irrelevant comments will be removed at an admin’s discretion. Your email is used for verification purposes only, it will never be shared.